In this course, we'll start by looking at the tools and the environment that is needed to work with AWS resources. We'll be using Python, 3 and as per the IDE, we recommend you to use PyCharm from Jetbrains. It has a free community edition. After setting up your environment on both MacOS and Windows, we'll create our credentials for AWS as being the AWS Access Key and AWS Secret Access Key for programmatic access to AWS resources. You'll learn how you can set your AWS credentials globally on your computers using AWS CLI. Before jumping into the implementation, for one last tip, we'll show you how you can have auto-complete capabilities on your PyCharm IDE with PyBoto3! Once we're ready with our environment setup, we'll start implementing our solution on AWS! And remember, we'll do everything with Python code. Nothing will be done manually. We'll start off with RDS or Relational Database Service from AWS. I'll teach you how to launch your own Amazon RDS Instances purely with your Python code! Then, we'll learn how to take a snapshot or namely backup our complete database instance. Later, I'll teach you how to restore that snapshot that you have created earlier so that you can recover your database from failures! Next up is DynamoDB! 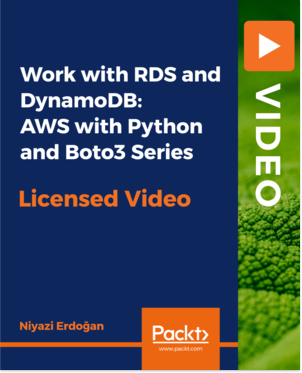 With this very-popular NoSQL service from AWS, I'll teach you how to create your own DynamoDB Tables on AWS with Python! You'll learn how to provide a key schema, attribute definitions, and apply throughout to your tables.